New product launches are crucial to the success of a business; they demand careful planning and flawless execution. Internal communications are vital to the early success of the program, as is the support of senior management, who must commit resources to the project. It seems that there is a high rate of new product failure. Is it risky to spend money on a high-profile product launch? The failure to effectively launch a product can be a contributing factor to its failure in the market. If a product has been carefully researched and developed, an effective launch should contribute to its success. The most successful product launch, however, cannot rescue a bad product. Why should we spend money on an internal launch when it's the customer base which will determine the product's success? For a product to succeed, you must obtain the necessary internal support and resources. This requires the commitment of the management team, as well as that of the people who will be responsible for designing, producing, marketing, selling, and distributing the product. Internal communication is a key contributor to success. If a product is good enough, are sales incentive programs required during the launch period? Any product has to fight for attention from the sales force and resellers. A well-designed incentive program can supply a vital push for a new product during the critical launch period. launch advertising and other forms of customer communication. Internal communications are vital to the early success of any product launch program. During an internal launch, the new product team must sell its concepts to the senior managers who must commit resources to the project. They also need to win the support of a number of departments which will form part of the product launch process”for example, manufacturing, design, research and development, distribution, and marketing. Staff must be aware of the scope and benefits of the program so that they can contribute effectively. Sales and marketing departments should be fully briefed on the new product so that they can plan and execute on the external communications process. Sales staff require comprehensive sales and marketing guides which outline the key benefits of the new product, and identify the most important prospects. The specification and objectives of the launch program must be provided to the marketing department for use in formulating other complementary marketing programs and identifying key sectors for development. The purpose of an internal launch is to highlight the strategic importance of the product and to develop a high level of interest before the product is introduced to customers. The internal launch should be fully supported with product and marketing information. If a product is sold through a distributor or retail network, pre-launch activity is important. Consider a sales and distributor incentive program to generate high levels of initial interest. Incentives to build high levels of launch inventory are essential; if a product is not available in the retail outlets, consumer launch programs are wasted. Launch guides will help to give local outlets an indication of all the key activities that should be performed. A launch guide insures that everyone involved in the launch process understands the product, as well as the launch itself. It should contain a number of important sections, which are detailed below. Why is the new product being launched? How does it fit into the company's overall strategy? What sort of people will buy the product and how do they differ from traditional customers? What new sales opportunities does this product provide? How will competitors respond to this product? The second section of a launch guide should explain the features and benefits of the product. This section will act as a sales guide for the local outlet staff and should enable a full understanding of the product. It should include information about available training and product support. Be sure to outline any training that is part of the launch program and identify the people who should be involved. The third part of a launch guide should indicate the level of support available. Explain the launch event itself. Provide details of national advertising and promotional programs, together with local marketing programs. With adequate advance notice, local outlets can order support material and plan their own local marketing programs that are fully integrated with the national launch. There exists a myriad of formats for a product launch event. Products can be launched to all sales staff and retailers at a single national event. Or, if there are time and budget constraints, a series of regional and local events for local retailers may suffice. Alternatively, you can introduce the new product to individual outlets through a series of sales calls or teleconferences, or by sending mailings to individual outlets. The period after the launch event is a critical time for the success of the program. In the emotion of a major launch, it is easy to forget that the real sales effort has only just begun. Post-launch sales activities might include promotional support for retailers and ongoing incentives. Consider direct marketing programs to help retailers market the new products, or local events to reinforce a national launch event. A number of communication options can be leveraged for the customer launch, including advertising, direct marketing, trial offers, and exhibitions. Consider various marketing programs to raise initial awareness and get customers to try the new product. to offer customers further information, or a trial of the product, as a way of generating sales leads. Sales promotion activities can also be used to encourage sampling and product trial. Typically, curiosity value and novelty are not sufficient to ensure the success of a new product launch. The promotional campaign must incorporate strong consumer benefits, together with an incentive to buy”for example, money off on trial packs. Target the highest-priority prospects with direct marketing programs for key customer groups. Direct marketing can be used to make special offers, or to provide detailed information about the new product. It can also act as a mechanism to obtain feedback on new product performance. The flexibility of direct marketing enables many different launch and marketing approaches. Consumer information at the point of sale is essential for new products sold through retail outlets. It can be used to reinforce other media and to reach prospects and customers who may have been missed in previous programs. Point-of-sale material provides additional information to customers and prospects, and supports sales development through retail outlets. An effective public relations program ensures that the new product receives good coverage in the right publications. It can take a number of forms, including tie-in promotions such as reader offers, competitions, and product information in the form of press releases, product reviews, or feature articles. 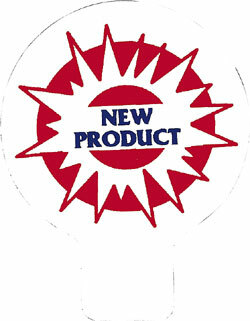 Highlight the new product on your Web site with an announcement on the home page and a link to product information or launch news stories on the site. Consider also adding a footer to all company or organizational e-mail correspondence; mention the new product in this footer and include a Web link for more information. Your sales force is critical to the success of a product launch. You must ensure that they are completely committed to the new product, so that they are able to communicate enthusiastically (and knowledgeably) with customers and resellers. A new product typically forms only part of their overall sales target, so this motivation is essential. It's extremely risky developing and launching a new product. It is tempting to oversell a product to ensure a successful launch. Keep in mind, though, that the long-term success of the product is what will determines your company's market position, so avoid launching a poor product just for the sake of it. Mistakes are made when launches are driven by release dates rather than product readiness, when problems need to be corrected after the launch. This ill-advised approach has resulted in a number of high-profile companies earning a poor reputation for quality. A huge amount of effort and money are often expended when a product is launched, but many companies fail to maintain the momentum. When this occurs, sales can slump after the initial period, and may never recover.